"Appreciative Inquiry and Organization Development"
The world today is in an ever-evolving state, ranging from advances in technologies to the vastly different challenges that face the organization in the 21st century. Yet one thing remains the same, all organizations rely on one key resource to maintain productivity and profitability, and that is the employees themselves. Join us and Dr. David Cooperrider in this seminar to discuss his ground-breaking methodology of Appreciative Inquiry and how Appreciative Inquiry can be applied not only in the standard business sense, but how it can be applied in all organizations, ranging from education, healthcare, government, and not for profit. 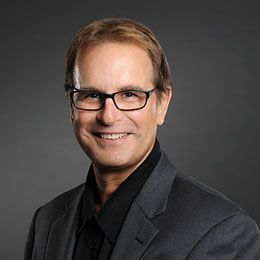 David Cooperrider has worked for more than 20 years in his work of Appreciative Inquiry to enable positive change, innovation, sustainable designs for all systems and stakeholders. He champions the strength-based approach to foster innovation and collaborative design. Currently Dr. Cooperrider is the Fairmount Minerals Professor of Social Entrepreneurship at the Weatherhead School of Management, Case Western Reserve University. Professor Cooperrider is past President of the National Academy of Management’s OD Division and has lectured and taught at Harvard, Stanford, University of Chicago, Katholieke University in Belgium, MIT, University of Michigan, Cambridge and others. In 2017, David with Peter Sorensen received the “Organization Development Lifetime Achievement Award”. David has published 15 books and authored more than 50 articles. Cooperrider’s volumes include Appreciative Inquiry Berrett-Kohler (with Diana Whitney), The Appreciative Inquiry Book series authored with Peter Sorensen and Therese Yaeger, The Organization Dimensions of Global Change (with Jane Dutton), Organizational Courage and Executive Wisdom and Appreciative Leadership and Management (both with Suresh Srivastva). David is editor of a new academic book series Advances in Appreciative Inquiry (with Michel Avital) published by Elsevier Science.